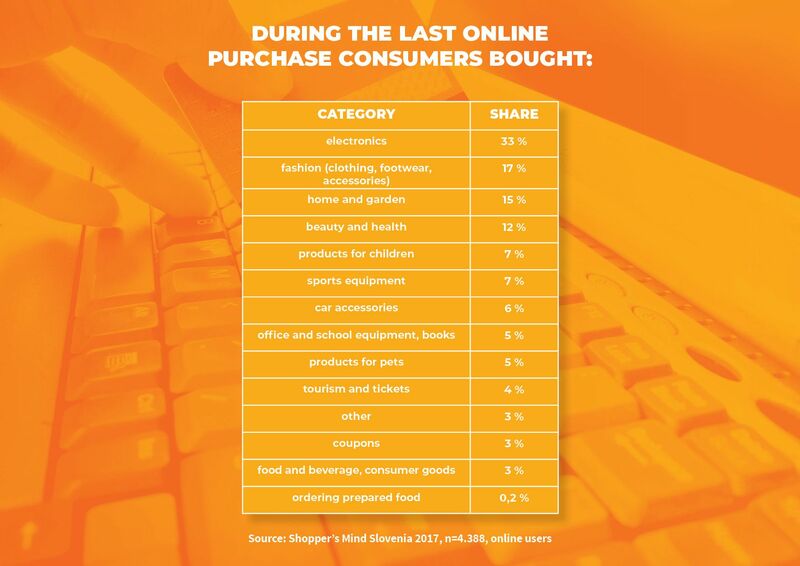 Ew-Shopp > Data Blog > What do consumers prefer to buy online? In classical and online sales, it is crucial that we understand the preferences and habits of consumers. Researches of consumer behavior enables us to see the mysterious background of shoppers’ minds, and based on that, we can predict consumer choices and adjust the strategy. 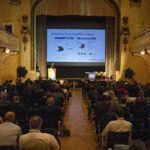 The Shopper’s Mind business intelligence brand carries out the largest online shopping survey in the Adriatic region, which reveals interesting trends. Check which products are most commonly chosen when shopping online and which commodity groups have great potential for growth in ecommerce. When buying online, Slovenian consumers most often choose electronics, fashion products, home and garden equipment and beauty & health products. During the last online purchase, most consumers (33 percent) bought electronic product like computer, audio-video equipment or mobile phone accessories. Almost a fifth of online shoppers chose clothing, footwear or fashion accessories, 15 percent home and garden equipment and 12 percent beauty and health products. 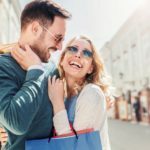 Despite the rapid development of ecommerce and the increasing consumer trust in online shopping, there are still some products where customers are much more careful and prefer to shop in physical stores. However, the Shopper’s Mind survey clearly shows that in certain categories the share of online purchases is growing rapidly, indicating the growth of consumer trust. Compared to 2016, online purchases increased the most in the following categories: furniture, garden accessories, office and school equipment, toys and other products for children. Extremely interesting are the fast-moving consumer goods (packaged foods, beverages and other consumables), as the number of online purchases in this category is increasing. Based on such researches, retailers can better understand consumer habits and adjust their offer for better sales results. At this moment we can expect further online growth in these categories: toys and other children products, office and school equipment, furniture, garden accessories and sports equipment. Shopper’s Mind is a business intelligence brand dedicated to accelerating ecommerce in the region and enabling online sellers to successfully compete in the new retail environment. It covers three main areas of information: trends in online markets, best e-commerce practices, and research data that reveals the dynamics of the modern purchasing process. Shopper’s Mind brand is an initiative of the Slovenian company Ceneje Ltd. which operates the leading comparison shopping platforms in the Adriatic region, ceneje.si, jeftinije.hr, idealno.rs and idealno.ba.